Employment First is a concept to facilitate the full inclusion of people with the most significant disabilities in the workplace and community. Under the Employment First approach, community-based, integrated employment is the first option for employment services for youth and adults with significant disabilities. Times will be a changing as Employment First efforts reconfigure the landscape of employment services for people with significant employment barriers. I am writing three articles on these changes and how I think we can maximize the benefits the Employment First initiatives are offering our industry. The first lies in understanding the evolution of our industry in meeting Employment First needs. The second part will focus on structural changes needed in strategy and technique to ensure effectiveness in obtaining much-needed jobs. The third installment in this series will be on the management changes that will come about or need to be put in place to maximize Employment First or similar efforts. Allen Anderson is a long-time contributor to Job Training & Placement Report and president of Dover Training Group & Employment Management Professionals. For more information, check out: http://www.dtg-emp.com. 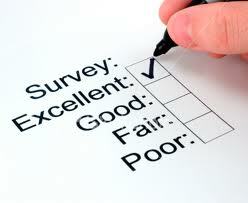 Most EAP providers offer some sort of survey to supply feedback to their corporate clients. These typically include surveys pertaining to overall “satisfaction”, clinical outcomes, workplace outcomes, or some combination. Results are typically indicated by “response rates,” which refers to the proportion of the number of surveys returned out of the total number sent out. But response rates are often not very high. Why is that? What can be done to improve best practices for surveying EAP clients? We will address these questions in this fundamental and yet neglected EAP topic. * Remember that short, appealing, colorful surveys work best. * Consider issuing a reminder about the survey before actually sending it. “Improving EAP Surveys” was the topic of the March and April cover stories in “Employee Assistance Report”. For more information on this newsletter or to sign up for a free trial, check out the “Employee Assistance Professionals” link at http://www.impact-publications.com and/or phone 1-715-258-2448. Employee assistance programs earn their keep by helping employees reach and maintain effective work performance. This includes embracing new ways of assisting soldiers returning to the workplace from tours of duty in Iraq and Afghanistan. These individuals are expected to re-enter, assimilate back into their respective companies, and quickly regain the high level of effectiveness they had prior to deployment. However, the stark reality for employers is that these individuals have been exposed to highly stressful and sometimes traumatic experiences. Companies cannot expect that military organizations alone will be able to meet the needs of returning service members and facilitate their return to work. Therefore, EAP plays a key role in assisting these employees in the process of re-integration into the workplace. EAP needs to take advantage of the opportunity to educate and support the managers and co-workers of returning service members. Helping non-military employees understand the process of returning from duty and re-integration back into the workplace can facilitate effective and important cultural support in the workplace. Long after military conflicts are over, these issues also beg a bigger question: “What are we as EA professionals doing for those in the workplace that have experienced traumatic experiences?” It cannot be overstated: even those who do not seek direct counseling would surely benefit from any effort we committed to building and maintaining a workplace culture that embraces and practices support and sensitivity to all employees who cope with trauma. This article is excerpted from the cover story of the May “Employee Assistance Report” newsletter. 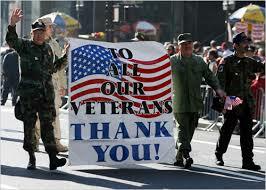 For a free trial, visit the “Employee Assistance Professionals” link at http://www.impact-publications.com. RaeAnn Thomas is a long-time contributor to this newsletter, and the director of Ministry Associated Employee Assistance Services. MERS Goodwill is celebrating the one-year anniversary of its one of a kind Autism Employment Center, which provides a place where individuals with Autism Spectrum Disorder (ASD) can go to begin or continue their transition to self-sufficiency. The Autism Employment Program is designed to focus on preparing individuals for the world of work and help individuals to obtain the right job. Did you know the unemployment rate for people with disabilities is 50% higher than the rate for people without disabilities (6.8%). Since its inception, the Autism Employment Program has served 70 individuals through appointments and walk-ins. Out of those 70 clients, the program has had an 85 percent placement rate, taking approximately seven weeks to place a client in a new position. The program currently has a 100-percent retention rate for individuals placed into employment. * Use gradual transitions – Work should be started for short periods while the person is still in school. * Find supportive employers – Parents and educators need to find employers willing to work with people with ASD. * Seek mentors – People with ASD, especially those that are higher functioning, need mentors who can be both a special friend and help them learn social skills. The most successful mentors have common interests with the person with autism. * Educate employers and employees – Both employers and employees need to be educated about ASD so they can support and help the person with autism. They also need to understand an autistic person’s limitations with complex social interactions to help him/her avoid frustrations that could cause the individual to lose his/her job. * Consider freelance work – Freelance work is often a good option for high-functioning people who have a special skill in computers, music or art. * Make a portfolio – Similar to the previous point, persons with ASD have to sell their skills instead of their personality, so they should make a portfolio of their work. Since people with autism do not tend to interview well, HR should be avoided. Technical people respect talent, and a person with autism has to sell his or her talent to an employer. 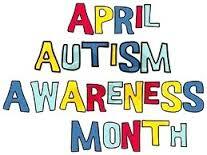 Additional source: Karen Steffan, MS, CRC, who began working with students with autism on a grant project in 2000. This article originally appeared in the April 2014 issue of Job Training & Placement Report. For a free copy of this monthly newsletter for supported employment professionals, visit the “Job Training Professionals” and “Free Trial” links at http://www.impact-publications.com. 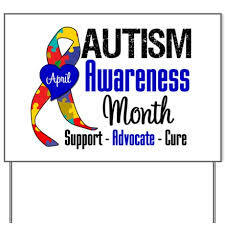 Autism is the fastest-growing developmental disorder in the U.S. According to some estimates, as many as 1 in 88 children have autism. This means that, if you haven’t already, you’re likely to come into contact with someone with autism spectrum disorder in your profession. 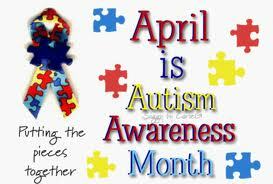 This is the first in a series of posts that will appear this month to recognize Autism Awareness Month. Project SEARCH, based at Cincinnati Children’s Hospital Medical Center, is joining forces with New York Collaborates for Autism (NYCA) to create an autism-specific vocational intervention. The goal is to improve employment outcomes for youth with autism spectrum disorders (ASD). The intervention will combine autism-specific best-practice supports into a single package that can be incorporated in the Project SEARCH model of high school transition. Project SEARCH is a widely used model for high school transition that was developed at Cincinnati’s in 1996 and has now expanded to over 270 program sites worldwide. It is a highly collaborative model that was designed to improve employment prospects for young people with a broad range of intellectual and developmental disabilities. Project SEARCH is not specifically designed for young people with autism, but many youth with autism have participated in Project SEARCH since its inception. Currently, approximately 18% of all young people in Project SEARCH have autism, with a 63% estimated rate of competitive employment for this group. This is an excerpt from a story that appeared in the April 2014 Job Training & Placement Report. For a free copy, go to the “Job Training Professionals” and “Free Trial” links at http://www.impact-publications.com. For more information on the NYCA, visit http://www.nyc4a.org.